Lyndon Neri is a Founding Partner of Neri&Hu Design and Research Office, an inter-disciplinary international architectural design practice based in Shanghai, China with an additional office in London. Neri&Hu are named Maison&Objet Asia Designers of The Year 2015 and Wallpaper* Designer of The Year 2014. In 2013, Mr. Neri was inducted into U.S. Interior Design Hall of Fame with partner Rossana Hu. The practice was selected as the 2011 INSIDE Festival Overall Winner, won AR Awards for Emerging Architecture 2010 by Architectural Review (UK) and one of the Design Vanguards in 2009 by Architectural Record (US). In 2006, Mr. Neri was selected by I.D. Magazine as one of the 40 designers globally who deserve more attention in the “I.D. 40”. Mr. Neri received a Master of Architecture at Harvard University and a Bachelor of Architecture at the University of California at Berkeley. 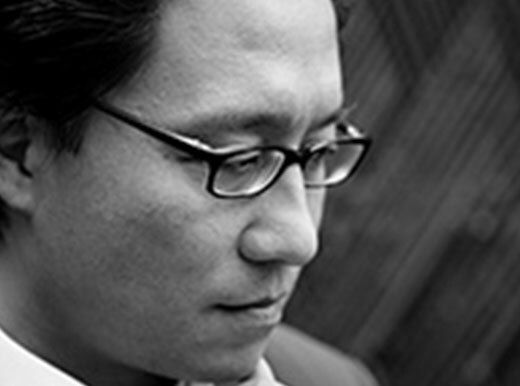 Prior to starting his own practice with partner Rossana Hu, he was the Director for Projects in Asia and an Associate for Michael Graves & Associates in Princeton for over 10 years, and also worked in New York City for various architectural firms. Other than an architectural professional, Mr. Neri has been actively involved in teaching and research. He taught at Department of Architecture of The University of Hong Kong Graduate School together with his partner Rossana Hu. He served as an active visiting critic for design schools in the U.S. such as Princeton University, Harvard Graduate School of Design, University of California at Berkeley, and Syracuse University. Mr. Neri and his partner Ms. Hu have been invited to speak at Mexico Design Week, World Interiors Meeting in Amsterdam, Shanghai International Literary Festival, 100% Design London, Designer’s Saturday in Bangkok, Bauwelt Panel Discussion Badgespräche, BODW (Business of Design Week), Inside Festival during World Architecture Festival in Spain, Beijing International Design Triennial 2011, The White Box Workshop at Hong Kong Design Center, Design Roulette Shanghai 2011, RIBA (The Royal Institute of British Architects), The Graduate School of Design at Harvard University, Re-inventing with Design(Red)2010, Hong Kong, The Dutch Pavilion during EXPO 2010, Shanghai and many other design, fashion, art related forums and events. Lyndon Neri is also a founder of Design Republic, a retail concept store based in Shanghai that offers a unique collection of products created by the world’s best design talents, many of which have never before been made available to consumers in China. The flagship store design, created by Neri&Hu, earned the Perspective Awards Best Interior Retail and the DFA (Design For Asia) Best Design of Greater China. Aside from Architecture and Interiors, together with his partner Ms. Rossana Hu, Mr. Neri is actively working on a number of industrial design products for various brands in Europe including Moooi, LEMA, Parachilna, Classicon, Gandia Blasco, JIA, Stellar Works, Meritalia and BD Barcelona Design, the latter two were in collaboration with Swarovski’s “SWAROVSKI ELEMENTS at Work” project. At the same time, they are developing their own product line under the monicker brand ‘neri&hu’, which was honored to receive the Perspective Awards, the Red Dot Award and I.D. magazine’s Annual Design Review Awards. Mr. Neri and Ms. Hu were invited to guest edited the October issue of DI magazine in 2009, which is one of the vanguard architectural publications in China, they also published and edited a book called ‘Persistence of Vision’. The book is a beginning of a series of exploration on architecture and urban issues in major cities in China.